Some of London’s most renowned statues have polished up in honour of this week’s prestigious Fashion Week. Fashionista Beau Brummel, Sherlock Holmes, Churchill and Roosevelt were just a few of the icons who were dolled up for the event. 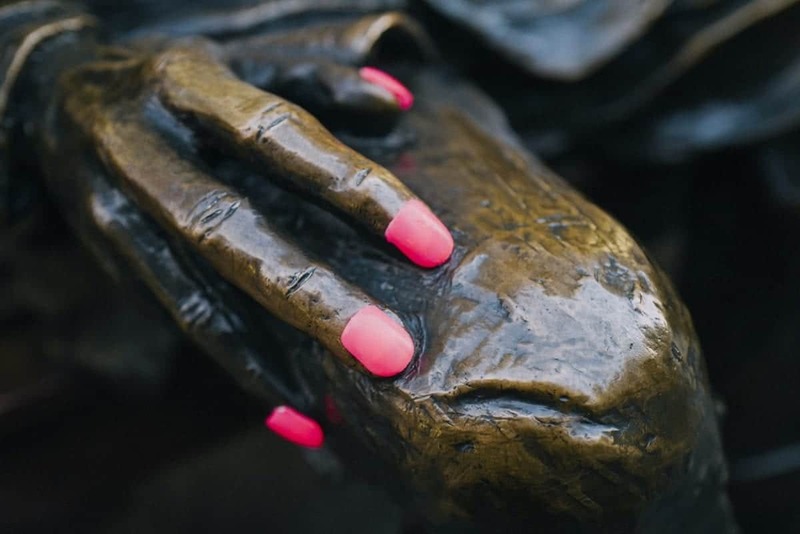 Pioneer of men’s fashion Beau Brummel lived up to his reputation when he was seen sporting on-trend pink neon nails. While Churchill and Roosevelt, not necessarily known for their fashion sense, were also making an effort with a glamorous shade of pink to mark the occasion. Unsurprisingly, word of the suspicious activity travelled fast to Sherlock Holmes, who after close inspection, clearly decided the look was the height of fashion and adopted an uncharacteristic colourful hand shade himself. But these famous Brits aren’t the only slaves to fashion. New research conducted by SensatioNail has revealed that not having your nails painted or having chipped polish is the ultimate fashion faux pas, with more than three quarters of women making this claim (77 per cent). When SensatioNail asked women what the top beauty developments in the last decade were, gel polish landed in the top three because it delivers damage-proof shine and can be removed in half the time of a traditional gel polish. Previous PostAre Our Homes Ever Complete? Next PostWho is there to support Westminster’s children with caring responsibilities?